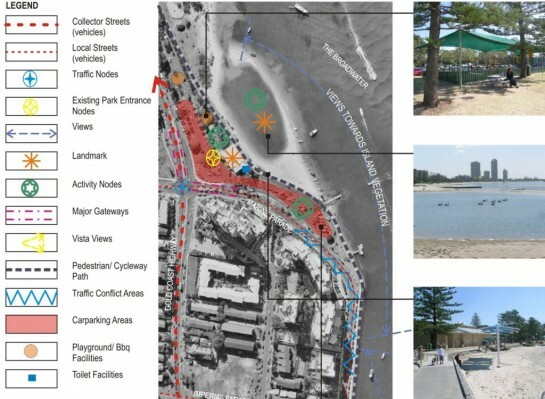 The Broadwater Foreshore Master Plan proposed redevelopment of this vital public space relative to key redevelopments adjacent. 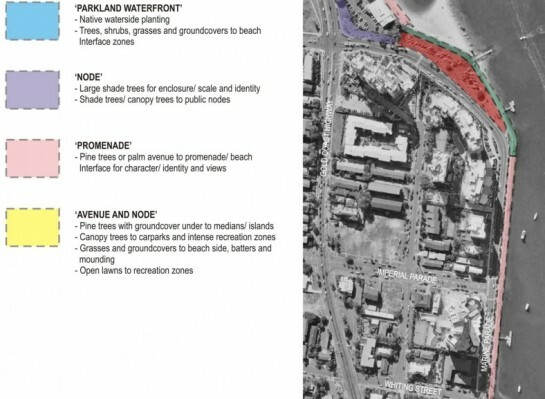 A public promenade edge to the water evolved new traffic circulation and parking patterns to ensure access to the public parklands, recreation facilities provided. Key developments included new pedestrian bridges, stage and amphitheatre, picnic and barbeque facilities, public amenities and public art interpreting the coastal and social values of the precinct.